9 x 0.5 amp outputs. Each output has an auto reset PTC Fuse Protection. 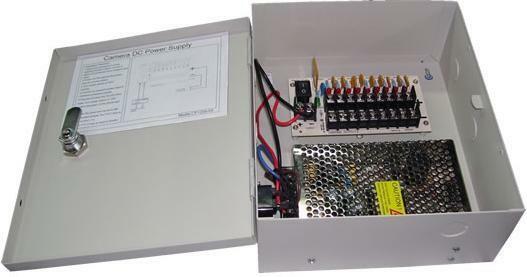 12V DC 5 amp 9 Output Regulated Boxed CCTV Power Supply.